Command Design Pattern enables you to encapsulate a request as an object, thereby letting you parameterize clients with different requests, queue or log requests, and support undoable operations. 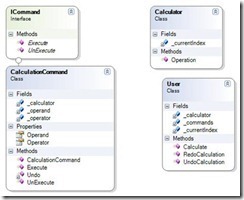 The below code demonstrates the Command pattern to be used on a simple calculator. This caluclator doing unlimited number of undo’s & Redo’s . 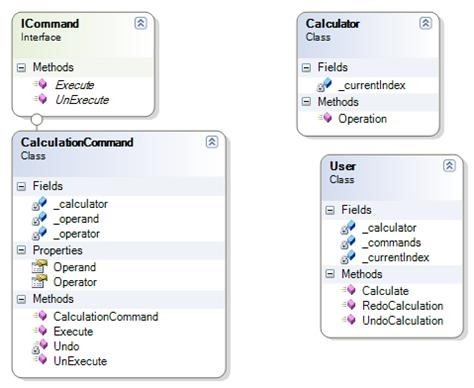 One thing we might do to extend this Calculator project, is to create an IOperator Interface and for each operation have a concret Operator Class. for simplicity I am not going to do this. I will hard code couple of operator to make it very simple to be understood.